Owning a home is a dream come true, but it’s also a dream that comes with a lot of hard work. Your home constantly needs some attention, and it’s difficult to remember all the upgrades, maintenance, and repairs your home needs annually. The good news is that when it’s time to replace your roof, you will notice the many signs that it’s time. If you’re unsure, this is a comprehensive list of signs it’s time to replace your roof that you can refer to when you have questions. Not all roofs are created equal, but most of them don’t last more than 25 years. If you have an asphalt roof with shingles, the roof should be replaced every 15 to 30 years depending on the quality and materials. If your roof made it to its 25th birthday, you should have it checked out. Depending on the weather, the location, and the damage it’s incurred over the years, it may not be time to replace your roof right now, but it might be the time in the next year or two. Curling shingles are a problem. If you notice your shingles have started to curl, you should consider the fact it may be time to replace your roof. This is an indication your roof is no longer able to weather big storms and the shingles will soon begin coming off. If you don’t already have any leaks, you will likely have some leaks in the future if you don’t replace your roof. A sagging roof is not a good sign no matter the age. Many people mistakenly believe a sagging roof is a simple problem or something that they can fix later if their roof isn’t that old, but it’s a major problem no matter how old your roof is. This is not necessarily a problem with the roof itself, but a problem with the structural integrity of your home. If you notice your roof is sagging, you might not need a new roof, but instead, different work to correct whatever is causing your roof to sink and sag. If you go into the attic and notice sunlight from the roof, you have a problem. Your roof is no longer doing its job, and it’s time to replace your roof. This is not a problem you can wait to repair, either. Once it’s at this point, it’s too late for you to consider an alternative. You must replace your roof as soon as possible. Additionally, noticing water stains in the attic means you have a leak you need to get fixed right away. Don’t call one company and ask for a quote. Call several, and have them come to your home and check on your roof. A good roofing contractor sends someone to your home to check out your roof, provide you a quote, and tell you what they want to do and how they plan on doing it. The best way to get the best price is to ask around for estimates and go from there. 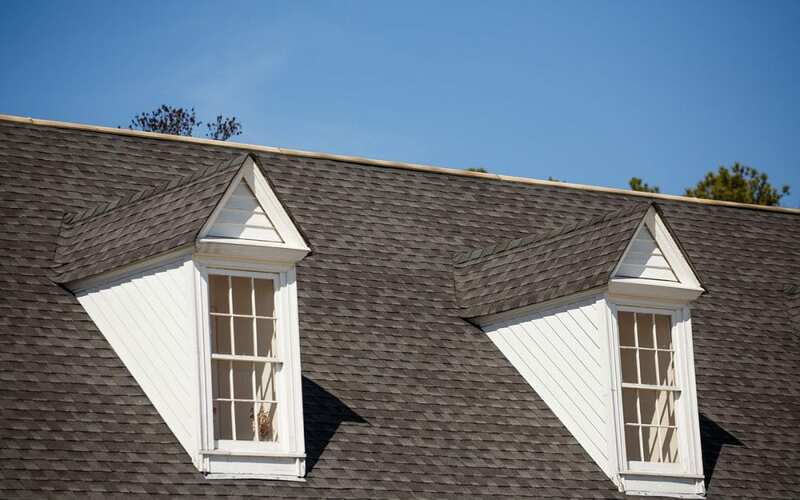 When it’s time to replace your roof, you probably don’t have much time to waste. Putting the job off means you put your home at risk of damage from leaks, mold, and other issues. Call for estimates, and get the job started as soon as possible. Your home can’t wait for a new roof if it’s already past the point of replacement. Having a professional home inspector inspect your roof is the best way to find out if it’s time to replace your roof or if some repairs will suffice. Diligent Home Inspections inspects all roofs, even using an aerial drone when a roof cannot be accessed safely. Contact us to schedule an inspection in Maryland.